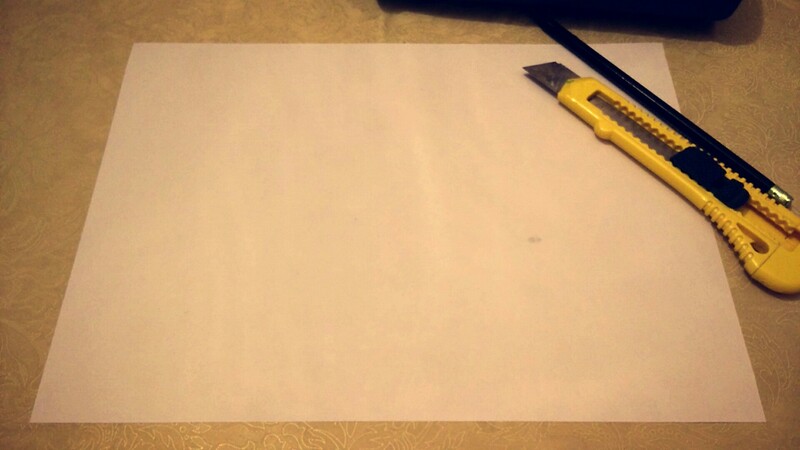 – I used retractable knife for cutting the paper, but I sometimes just fold the paper and then rip it out. 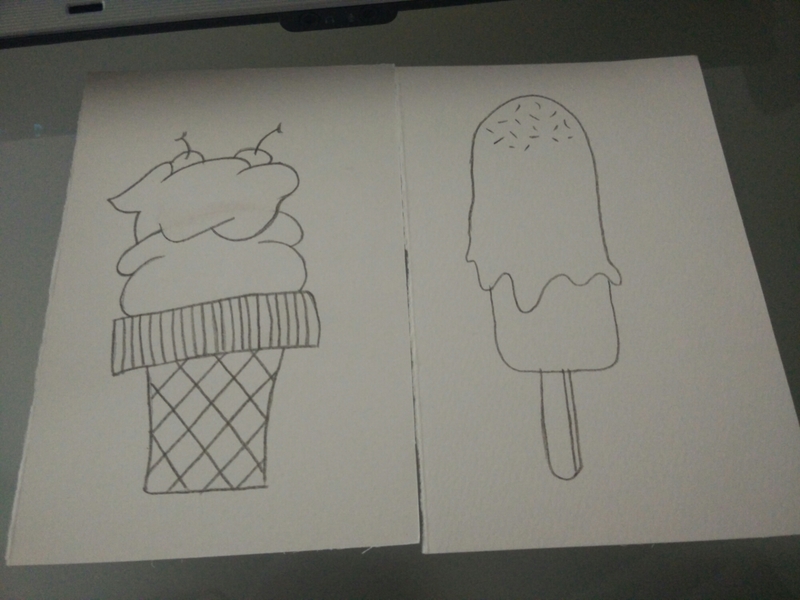 And yes, that’s all you need to make a handmade postcard. Oh also, creativity. You’ll need that too, but I’m sure you have lots of creativity inside you, so it won’t be a problem. 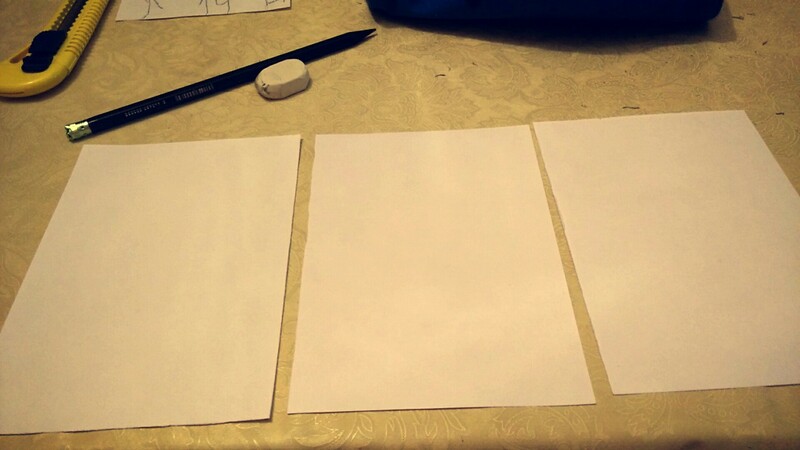 Take one piece of paper. Yeah, this is the easiest step, you guessed it. 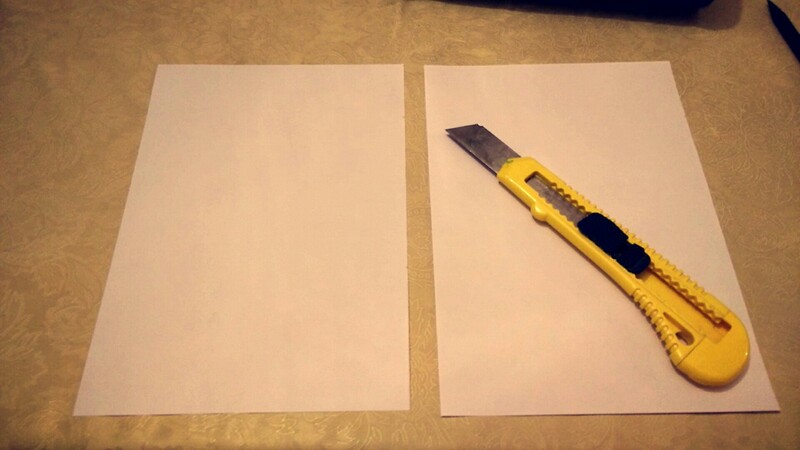 Fold the paper in two and cut it in half. That way, you’ll have two equal pieces. 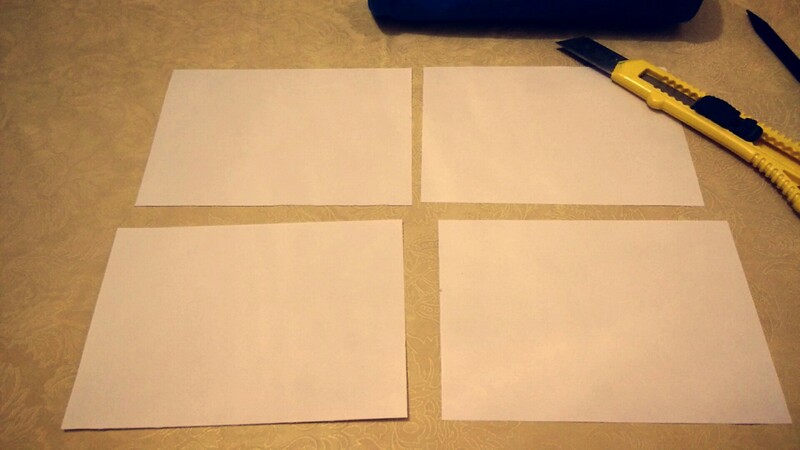 Cut those pieces in half too, and you’ll get four equal pieces, in a postcard dimension. 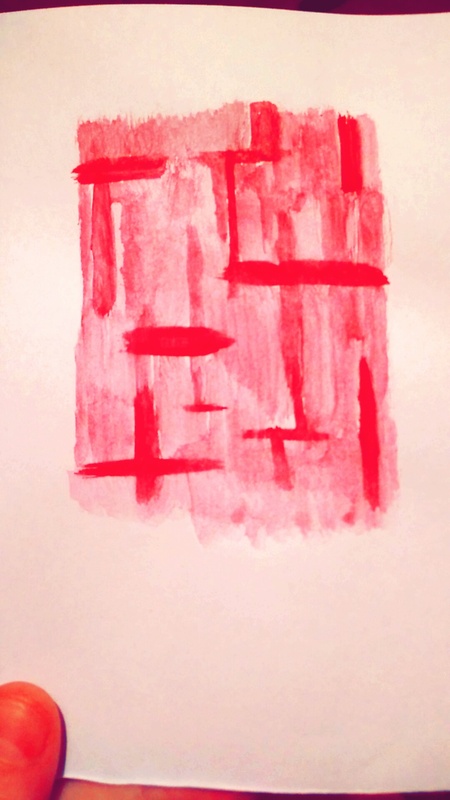 Take one of the four pieces of paper, and that will be the platform you’ll be drawing on. 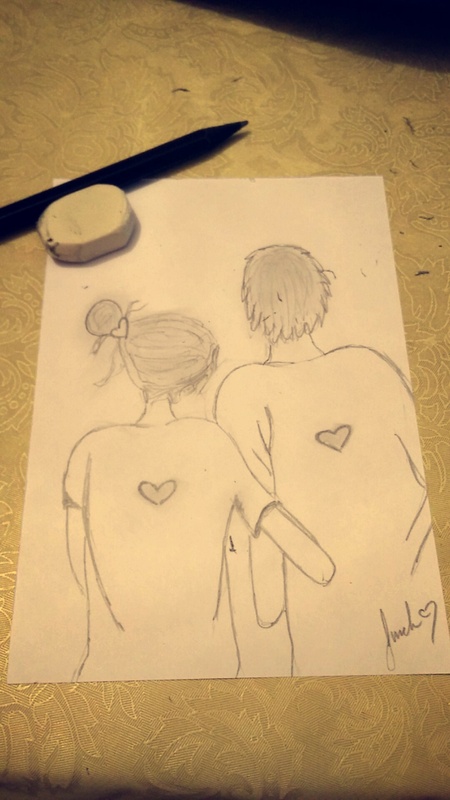 In this case I drew a couple hugging each other. 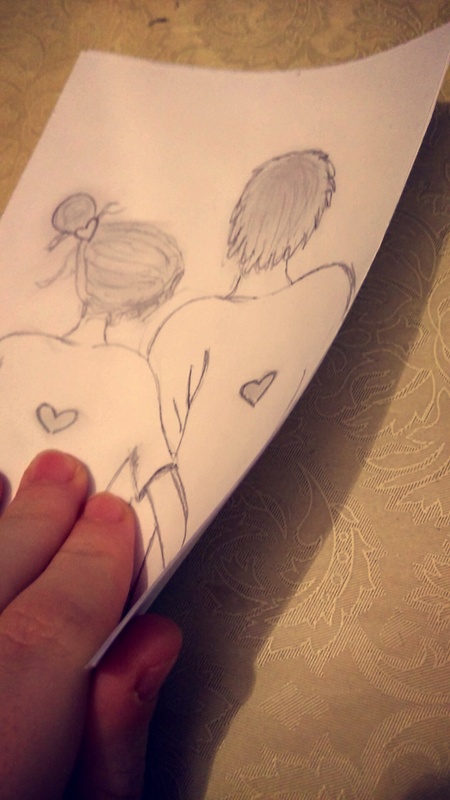 And I only used pencil. We are gonna use the three pieces that remained too. Take the glue and glue them together. That way, you’ll make a stronger platform, so the postcard will be thicker and it won’t fold. Make the postcard and send it to someone, and make them happy 😀 It is a lovely feeling, when you know someone has been thinking about you. And don’t forget to send me a picture of what you did. I love seeing how I inspire people. I made a new postcard today. It is this flower one, that is all ready to go out in the wild and make someone happy. I don’t usually draw flowers, and now I realize I maybe should have spent more time on drawing flowers, since this drawing really calmed me down while I drew it. I love this card from a local artist in Estonia. 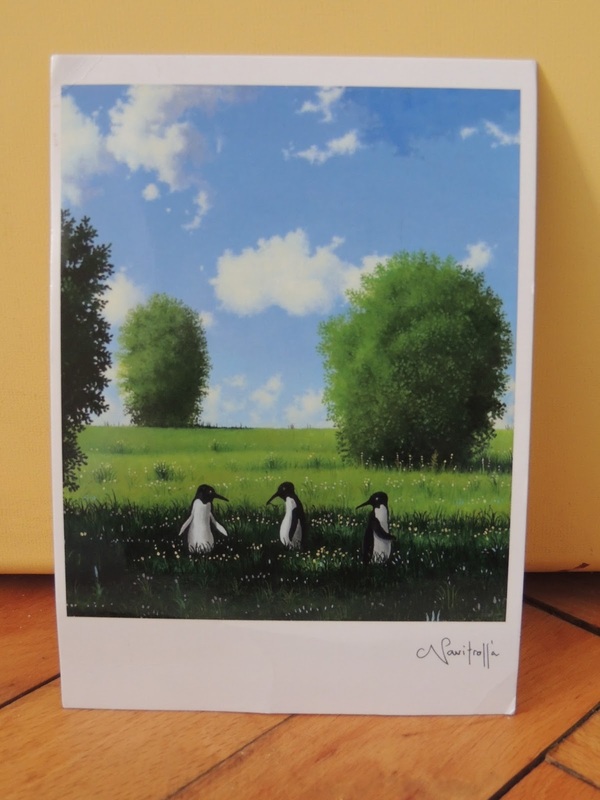 It is so funny, how penguins are put in a forest, and I love the humor this artist has. Thank you /u/metalohe , this is my first card from Estonia! I love it!